2108 Tall Pine Dr, Chesapeake, VA 23323 (#10231298) :: Abbitt Realty Co. Final section released! The Palermo offers an open & airy floor plan. From the Foyer enter the Dining Room. Past a convenient powder room & mudroom the gourmet Kitchen offers plenty of counter space & a large pantry closet. The light-filled Morning Room & gourmet island are open to the Great Room. The Home Office is located off the Great Room. Add the 4 extension for even more space or choose to make it a 1st Floor Bedroom. Upstairs are 3 large bedrooms with ample closets, a hall bath & convenient 2nd floor laundry room. The Owners suite features an enormous WIC & double bowl vanity. The included Bonus Room over the garage with its double-door entry offers even more space to work or play. No flood insurance required for this community! 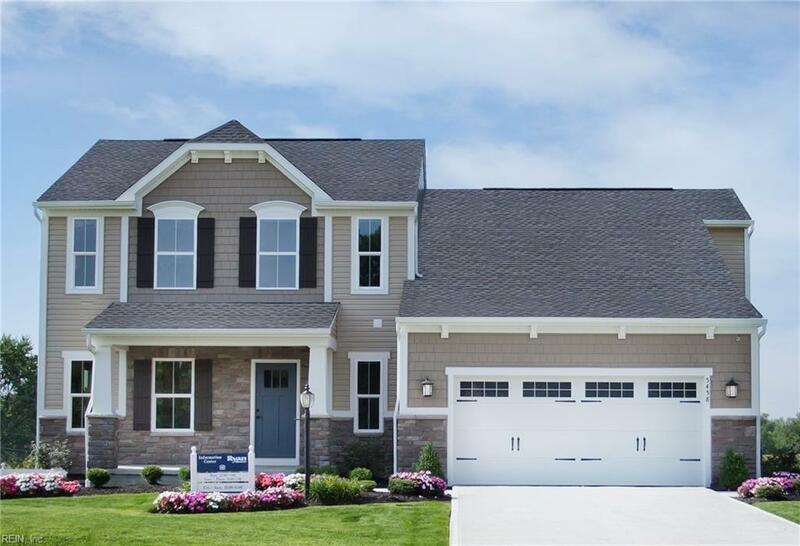 New homes with private, wooded yards in the Grassfield HS District. Minutes to 1-64, I-464, Greenbrier & Downtown Norfolk.